Perkins+Will have established themselves as leaders in the transformation of the medical care and architecture fields by epitomizing the joyful, nurturing and life-changing effects design can have on the world. 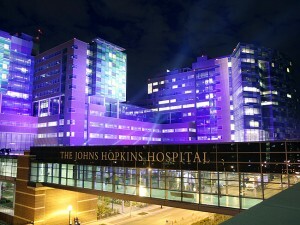 The world-renowned architecture and design firm, in a collaboration with design and engineering consultants, artists such as Spencer Finch, Johns Hopkins Facilities and Design Staff, Thorton Tomasetti, and Bloomberg Philanthropies, designed a 1.6 million square foot medical complex for the nation’s top-ranked hospital and leading academic medical center at Johns Hopkins Hospital in Baltimore, Maryland. Opening next week, on May 1st, the Charlotte R. Bloomberg Children’s Center and the Sheikh Zayed Tower set out to transform the healthcare experience while creating a new identity for the hospital and the community. 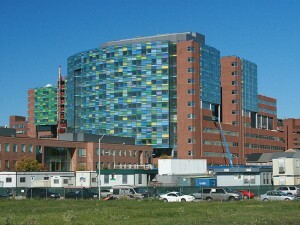 The complex features two sky-lit 12-story towers for children’s and adult healthcare that unite at the 8-story base of the structure. The designers focused on the healing benefits that the outdoors, light and art are known to have on patients and were sure to incorporate them into the buildings, which now serve as the doorway to the hospital and its 14-acre campus. Featured throughout the campus are an enormous landscaped entry plaza, a lobby with a meditation garden as well as several healing gardens. 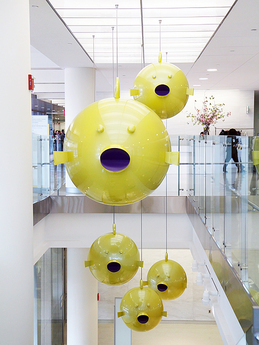 These along with abundant natural light, constant views to green spaces, and the 500 works of art created by over 70 artists help to create a humanizing and aesthetically pleasing environment and an uplifting experience for both patients and visitors – something that is rare for hospitals and the bland white walls and floors we associate with them. 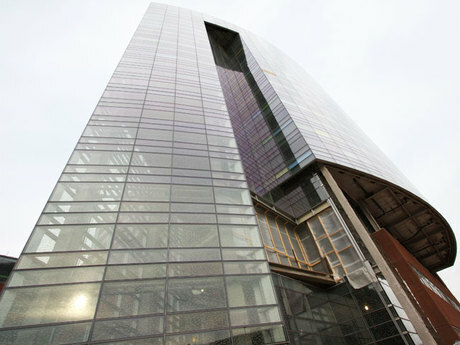 A key feature of the complex is a curved, shimmering glass curtain wall with panels of bold color, designed in part by Brooklyn-based artist, Spencer Finch. The wall moderates the light that enters the building during the day and at night, turns into a colorful, glowing work of art. 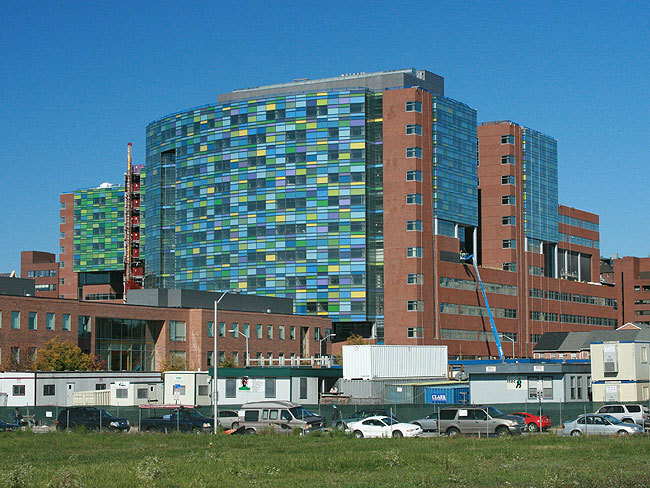 The hospital also features green materials, sustainable systems, and timeless materials such as limestone, terrazzo and wood along with elegant furniture in the adult healthcare areas and whimsical furniture in children’s healthcare areas. 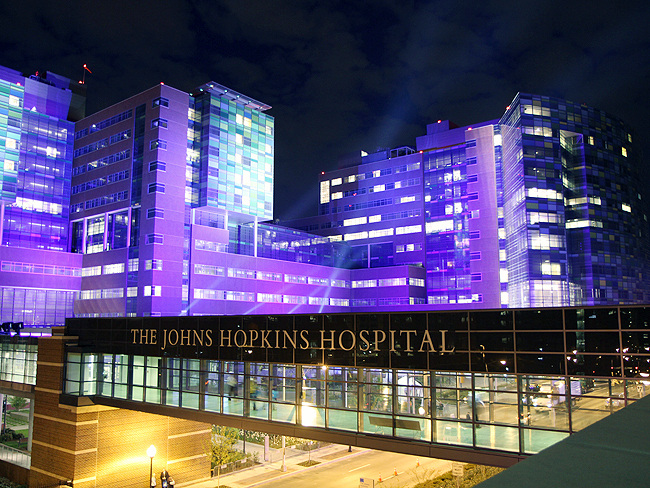 Even the hospital’s layout is innovative in the ways its advanced technology and planning work to improve collaboration and workflow among medical staff and to minimize transportation of vulnerable patients and ensure quality care. In addition, the hospital was designed to be acoustically and light sensitive to ensure a tranquil environment as often as possible. This ingenious building will illustrate the ways in which art, architecture, and design are not just afterthoughts in the creation of a structure, but are vital to its functionality. 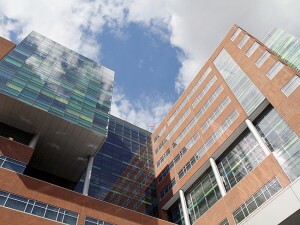 Photos courtesy of Thorton Tomasetti, structural designers for the hospital.